Hope you have your tissues at the ready, this intimate tale of love is deeply touching, heartwarming, honest and very funny. 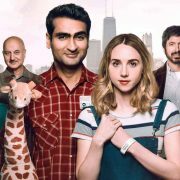 Written by Kumail Nanjiani and Emily V. Gordon, the story is based on their real lives giving this RomCom a wonderful personal connection with the audience. The Big Sick takes a brave fresh approach at the traditional romantic comedy. This true love story is deeply emotional and insightful, exploring the complexities of life in 21st Century America. The lead character Kumail is seeking a career as a stand-up comedian. He is also working as an Uber driver at the time when he meets Emily at one of his shows. Kumail and Emily come from very different cultural backgrounds with two very different families. In the modern world that shouldn't cause too many issues but Kumails Family may have something to say about that. His family are Pakistani immigrants who have deep traditional values that go back well over a thousand years. Kumail's Mum hopes for nothing more than a nice suitable arranged bride for her son. With this, we have the first layer of the story. 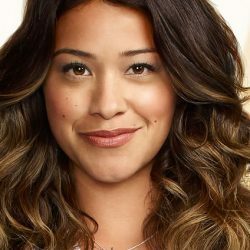 But throw into the mix a hard-hitting near-death experience that sees Emily in intensive care fighting for her life in an induced coma and this is where this movie becomes an overwhelming direct. It is an intimate experience that cuts deep with true emotion, bravely exploring avenues that no other romcom would dare to. The wonderful thing about this film is that the screenplay is written by Kumail Nanjiani and Emily V. Gordon about themselves. It is a brutally honest expose of their courtship and their own relationships with their families. We all know how difficult relationships can be, but to choose between your heart and your family is a decision most of us do not have to make. The script tackles this cultural challenge wonderfully whilst exposing the cultural barriers that still exist in the US today. The cast is brilliant with Kumail playing himself. His performance delivers the restraint that is necessary with the story and provides a brave performance that even takes a harsh stance on his own early stand-up performances. Holly Hunter gives a powerful performance as Emily's Mum, with some deeply moving scenes when things are looking very bleak for Emily in Hospital. Zenobia Shroff and Anupam Kher are fantastic as Kumail's parents. Zenobia, in particular, shines in her role as the doting Mother constantly arranging girl after girl to meet Kumail at the family meetings. But to me the real stand out was Ray Romano. He plays Emily's father who gave a very cutting performance full of honesty that really connected all of the characters together, whilst being genuinely funny at the same time. I went into this film knowing nothing about the story and wanted to watch it on its own merit. As a new release on Amazon Prime I thought I would give it a go. Now a romantic comedy is not normally the type of film I would gravitate to. That said, this is probably the best film in this genre I have ever seen. The story is woven with deep complex issues and faces up to them straight on. It challenges your own emotions in many ways but leaves you with a huge smile on your face. The Big Sick is a movie that gives a wonderful warm feeling inside and yes a tear of happiness too.